I've officially finished reading the first assigned title for my class Library Materials for Young Adults, and let me tell you, it was a doozy! Why? Because I was completely engrossed the entire book and then the end was nothing at all how I imagined. In fact, it had almost the opposite ending I had hoped for, but I somehow still managed to thoroughly enjoy it – now there's the sign of a truly good book! The Chocolate War, first published in 1974, follows the students at a private all-male college-prep school called Trinity. Central character and freshman Jerry Renault is the book's main protagonist and someone I probably would have been good friends with in real life. You see, throughout the book, Jerry pushes back against the school's twisted norms – a cruel and conniving teacher named Brother Leon and the (not-so) secret society known as The Vigils. The Vigils, lead by an amoral student and natural con-man named Archie Costello, really run the school by inventing and enforcing "assignments" for other students to carry out. None of the tasks are violent in nature and originally seem like (what I would assume to be) normal teenage pranks at an all-boy school in the '70s, such as unscrewing all of the desks apart in one of the classrooms. With the school's annual chocolate sale approaching and added pressure from Brother Leon to make the sale a success, Archie comes up with a new sinister assignment and gives it to Jerry. Archie tells Jerry that his assignment is to not sell his required 50 boxes of chocolate – separating himself from the rest of the students and openly defying the jerk that is Brother Leon. Jerry originally carries out the assignment out of fear, because no one defies The Vigils. No one would dare openly defy Brother Leon either, which is why Archie sees this idea as one of his best. After weeks of Jerry abstaining from the chocolate sale and infuriating Brother Leon per Archie's orders, Archie is forced into making Jerry drop the assignment and start selling his chocolate. But after seeing a change in his fellow students – and himself – by challenging authority, Jerry decides it's time to upset the universe and continue to boycott the sale on his own accord. The reason I found this book so compelling is because it's filled with characters you love to hate. It can be hard to enjoy a book when you despise just about everyone in it, but Cormier's concise and mesmerizing writing keeps you turning the pages. A quick and enjoyable read, The Chocolate War provides a look into what can happen when you push societal norms and boundaries. Jerry might crash and burn striving to make a difference in his mess of a world, but at least he can say he tried. "The Chocolate War" ranked number three on the ALA's list of the Top 100 Banned/Challenged Books from 2000 to 2009. As I'm sure you've realized by now, children's books have a special place in my heart (and on my bookshelf)! Children's books are what got me hooked on literature as a youngster, and I couldn't be more thankful to have found my passion for reading so early in life. When it comes to children's books, I often chose my childhood favorites not because of the words on the pages, but the pictures that accompanied them. 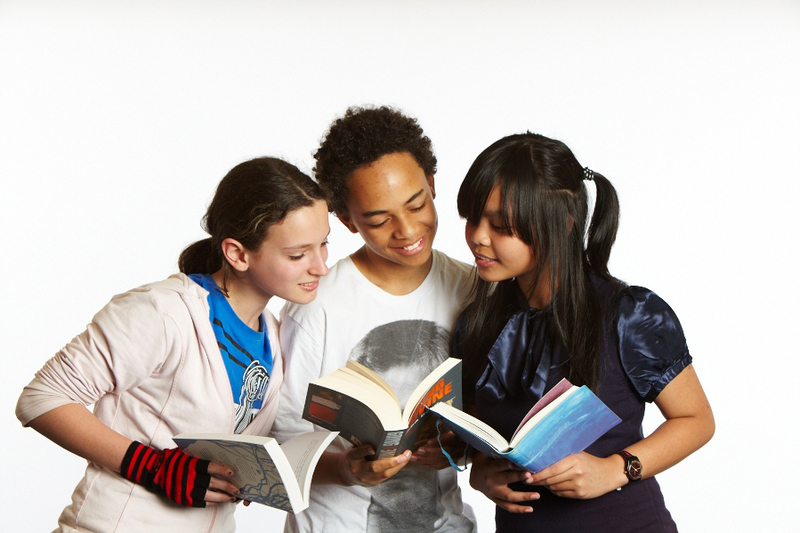 Picture books are so important because they're oftentimes what get children interested in books before they're old enough to read for themselves. Plus, picture books are a great way for parents and children to interact with each other while doing something that is fun, inexpensive and educational. Since November is National Picture Book Month, I'd like to share my top five favorites with you! This under-rated gem is probably one of my lesser-known favorites. It's a wordless story about the Grey Lady who loves strawberries. Unfortunately for her, so does the Strawberry Snatcher, an eerie figure who follows her around town. He draws closer and closer, eager to get his grubby paws on some of the Grey Lady's delicious strawberries. She miraculously manages to escape into the woods where something strange happens. The Strawberry Snatcher discovers something new –blackberries! And he loves them! The Grey Lady and the Strawberry Snatcher is a perfectly executed fusion of fantasy, suspense and humor for readers young and old alike! Hello Harold, my old friend. 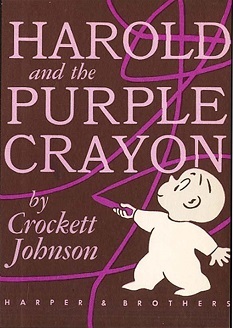 Harold and the Purple Crayon was first published in 1955 by Crockett Johnson, and it turned out to be his best-known work. Harold and the Purple Crayon is the story of a little boy and – you guessed it – a purple crayon. But not just any purple crayon ... a purple crayon that gives Harold the power to create his own world simply by drawing. As a kid, this story seemed like nothing more than entertainment, but when you read it as an adult, you realize the message it is giving to young kids, unbeknownst to them: Use your imagination. Create your own world. Anything is possible. Harold and the Purple Crayon went on to inspire a series of other books and adaptations, but none were quite as good as the original. Another oldie but goodie, Caps for Sale: A Tale of a Peddler, Some Monkeys and Their Monkey Business was put into print in 1938. This classic picture book, inspired by a folktale, follows a mustachioed cap salesman peddling hats around town shouting, "Caps! Caps for sale! Fifty cents a cap!" When the man decides to take a nap near a nice tree, some pesky monkeys come out and steal his beloved caps. After trying everything he can think of to get the caps back, the peddler throws his own checkered cap on the ground out of frustration – and the monkeys follow suit. This unique take on the phrase "Monkey see, monkey do," is filled with humor and warmth. The story entertains kids while simultaneously teaching them about conflict resolution. In the Night Kitchen was a very popular picture book in the early '70s, but with that popularity came controversy. The story follows a young boy named Mickey as he dreams his way through a surreal baker's kitchen where he helps make a cake for the next day. Doesn't sound too controversial yet, right? Well, while helping bake the cake Mickey looses a few articles of clothing, exposing his buttocks and, well ... his "little Mickey." Some people also interpret sexual innuendo in the events of the story, including free-flowing milky fluids and an allegedly phallic milk bottle. Consequently, In the Night Kitchen is ranked 25th on the "100 Most Frequently Challenged Books of 1990-2000" list compiled by the American Library Association. However, as a child, I was completely unaware of the scandal associated with the story. I loved the book for its fantastical plot and illustrations, and I definitely plan on sharing with my future children one day. Comprised of just 338 words, Where the Wild Things Are is arguably one of the most well-known and beloved children's books of our time. How could I not chose it as my number one ranking? From selling more than 19 million copies worldwide as of 2009 to winning a Caldecott Medal from the children's librarians in 1964, from continually being voted the number one picture book in yearly surveys of School Library Journal readers to inspiring generations to embrace their wild side, the magic of this book is impossible to ignore. Have a little bit of extra time on your hands before continuing with your day's wild rumpus? 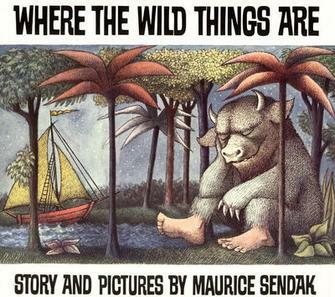 Take this quiz to test your Where the Wild Things Are knowledge and see if you can name every word that appears in the entire book. What are some of your favorite picture books and why? Share them with me in the comments, on Facebook or on Twitter by using #TessaFoxReads. Tessa Fox Reads is a proud Picture Book Month Ambassador. Visit picturebookmonth.com to learn more.